Living with a gender expression other than the one associated with one’s biology has a long history in countries as far flung and diverse as Samoa, Albania and Mexico, there is room for individuals to live in the identity of their choosing. Under the constant debate of gender spectrum in the western world, what used to be black & white and binary are challenged and redefined. The idea that ‘male’ and ‘female’ are states that not so easily and universally defined is also capturing the imagination of artists the world over. Whereas a painter may create a visual image to express their ideas, a perfumer articulates through scent. Renowned nose Francis Kurkdjian is one such creator. 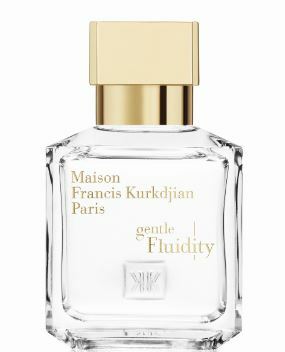 A keen observer of society and its evolution, Kurkdjian mirrors his era by telling stories through fragrance and his latest creation, Gentle Fluidity, is his answer to contemporary questions on gender identity. 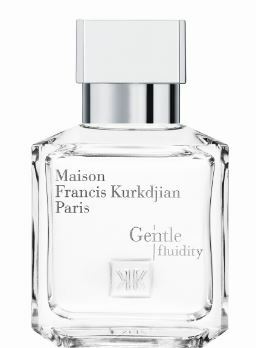 Gentle Fluidity actually refers to two new eau de parfum that have been created by the Maison: a single name for two distinct olfactory identities. They are clearly different perfumes: one features a woody, aromatic scent, the other has musky, oriental notes, but what is unique to these creations is that they are composed of the same ingredients. 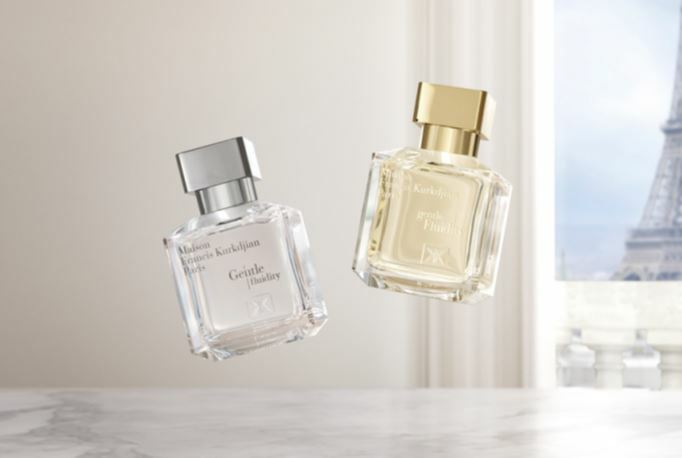 By drawing from the same list of scents yet in different balances, Francis Kurkdjian has gone beyond the concept of perfumery for women, men or mixed. Fragrances, he feels, like all the things that move us, are essentially about balance and expected effects. No more feminine or masculine. There is a personality, a sensitivity, a ‘gentle fluidity’ between all gender identities. Colour and the balance of the letters in the name are used to tell these two creations apart visually. Silver is for the aromatic woody Gentle fluidity, which features a capital G, while gold is used for gentle Fluidity, the oriental musky interpretation, where the F is in capitals. Of the 49 ingredients used to compose this perfume duo, six make up the olfactory silhouette of the two variations: juniper berry, nutmeg and coriander seed essences, musks, ambery woods and vanilla. In gentle Fluidity’s (the gold) generous, enveloping trail, you will find coriander seed essence and an abundance of musk and vanilla. The floral, spicy note of coriander seeds brings ethereal volume and a lingering trail, just like musk. In the base notes you will find the gourmand, reassuring notes of the vanilla accord enhanced by the ambery woods, which reveal a radiant, bright silhouette. In Gentle fluidity (the silver), nutmeg and ambery woods are dominant and release a vibrant, comfortable trail. Juniper berry essence leads to an ascending, ultra-fresh aromatic note, similar to a ‘gin frappé’ effect, balanced by the dry, slightly balmy and spicy notes of nutmeg. The base notes reveal ambery wood facets ranging from sweet and enveloping to powerful and dry. Fragrance composition is almost unlimited in breadth. When Kurkdjian is asked how long it takes him to create a new perfume, he usually mentions the number of years that have passed since the beginning of his career. Twenty-five years. For 25 years he has moulded olfactory matter and highlighted its visible and invisible facets. In conjuring up a new fragrance, he follows a golden rule: use only the quantity of ingredients needed to convey an idea and arouse an emotion. Since the foundation of Maison Francis Kurkdjian in 2009, Francis Kurkdjian and CEO Marc Chaya have worked closely together on its development and overall artistic direction. Although most fields of expertise can be found in house, they sometimes call on external talents, whose creativity and sensitivity match those of the Maison. One example is digital artist Hugo Arcier, who was called upon to make a 3D film by featuring Francis Kurkdjian’s office to celebrate the launch of this new perfume duo. Producer Cyril Teste, another talented person Kurkdjian has worked with in the past, was responsible for film performances and collaborated as an artistic advisor. Lastly, the music composition was once again assigned to Yannick Kalfayan, whose first creations for the Maison date back to 2015.